Tell us a little bit about who you are, and the work that you do. 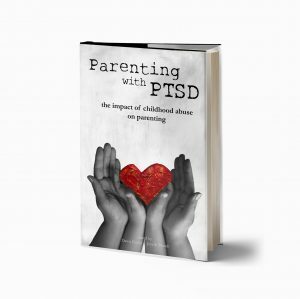 My name is Nicola and I’m 37 years old and have had PTSD since I was diagnosed in 2011 (trauma was 2009). I live in the UK and used to run an online marketing business (before I struggled to work with symptoms). When I was first diagnosed, I had no idea what PTSD was and had no one to turn to to find this out. I ended up on social media where I gained more knowledge and coping strategies from those who had been where I was. I wanted to try and make sure no one felt this alone in the diagnosis and decided to develop an app that would allow users to share their coping strategies for all the different symptoms. It has taken a long time to complete as my own health has had to be my priority. But I am so happy to finally say it has been finished and has been getting some amazing feedback. What is one resource (book, website, Ted Talk, other) you frequently recommend? I usually point people to diaphragmatic breathing and tell them to search on YouTube for how to do it properly. I’ve found it helps when I get in to panic mode. If you could tell a survivor with PTSD one thing, what would it be? That they aren’t alone and what they are experiencing is perfectly normal and they can be helped. What is one self care practice that you use to help keep yourself in balance while working in this field? I listen to radio dramas to relax and take me to a different place. It’s a great distraction as you can only focus on that in order to follow the storyline. What is a quote that sums up how you live your life? This day…. This moment…. This breath…. One day at a time.